In a recently published research paper in the Journal of Applied Corporate Finance, Tim Adam (from the MIT Sloan School of Management) and Chitru Fernando (from the University of Oklahoma Michael F. Price College of Business) report in their research paper "Can Companies Use Hedging Programs to Profit from the Market? Evidence from Gold Producers" that during the 10 year period of 1989-1999, the gold derivatives market was characterized by a positive risk premium that resulted in short forward positions generating positive cash flows. The authors found that the gold mining companies that hedged their production during this time realized an average cash flow gain of $11 million, or $24 per ounce of hedged gold per year, compared on average to an annual net income of only $3.5 million without hedging. Of interest is that as a result of the positive risk premium that resulted from a positive spread between the forward price and the realized future spot price, short derivatives positions did not result in significant losses, even when the price of gold increased. In summary, hedging helped increase profits. Also of interest in the article was the finding that there was also a significant level of volatility in corporate hedge ratios, implying that some managers were incorporating market timing into their hedging strategies (no surprise, as hedgers will sometimes begin to speculate). 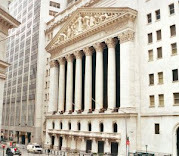 The authors found that attempts to time the market by "selective hedging" were futile and unprofitable, even causing the company to consistently lag the markets as they attempted with little success to successfully adjust their hedge ratios in response to expectations regarding market direction. In summary, hedging helped profits, but the benefits were from hedging, and not from the risk managers ability to predict price moves as they set their hedge ratios. Therefore, one can expect, at least for the gold mining companies, that while earnings and profits may remain volatile, those investors holding longer-term investments should see higher returns from companies that successfully implement and execute a defined hedging program that do not try to engage in market timing. While it is difficult to know when any company that you are investing in begins to move from hedging to market timing, at least knowing that a company is hedging will give you the potential for higher returns as long as you can weather a few up or down moves that may temporarily reduce profit margins.